Constant movement – Sitting for long periods of time can be bad for you, even when you exercise. Check out this recent study that was discussed on the New York Times. When you use an exercise ball for a chair, you are constantly repositioning yourself and are combatting this issue. Getting Jacked! 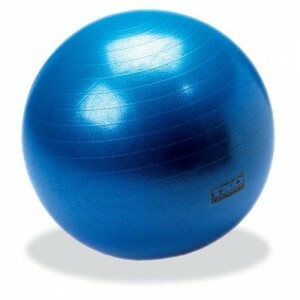 – having a ball for a chair has encouraged me to exercise during my down time. Code is compiling…bang out some crunches. I will now do ~ 300 crunches per day while waiting for various tasks to complete. They are cheap – Most exercise balls range from $15-$25. Check out Amazon for some deals. I recently purchased one at Target on sale for $9. While I’m not saying to completely replace your office chair with an exercise ball (you will end up switching back an fourth a bit), it is a great way to stay in shape and enforce good posture while at work.